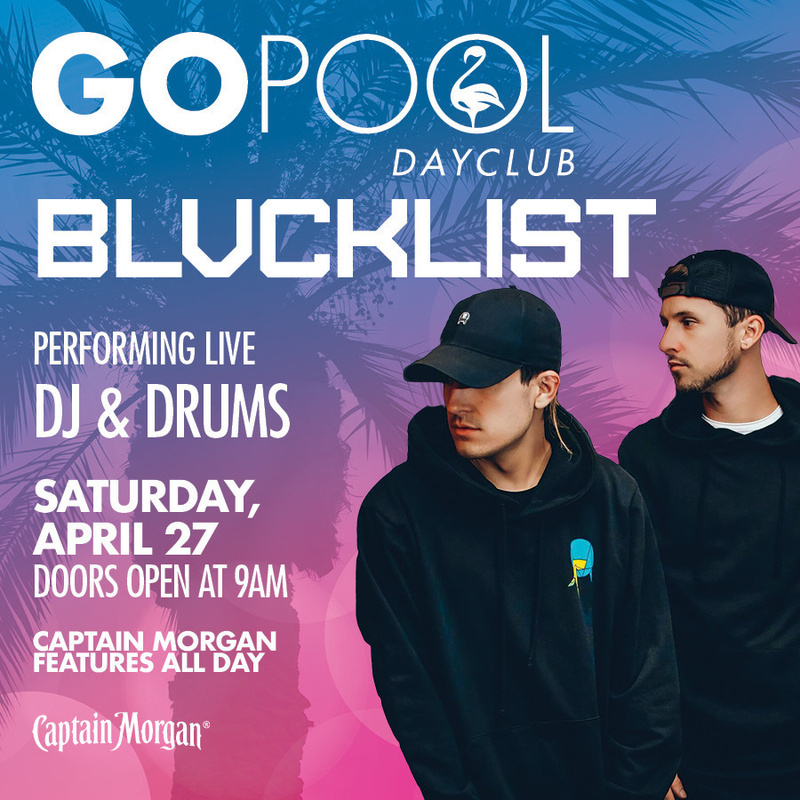 THE GO POOL PROUDLY PRESENTS #DAYBEATS SATURDAY WITH A LIVE PERFORMANCE BY BLVCKLIST WITH A LIVE DJ AND DRUMS SET! DOORS OPEN AT 9AM WITH GREAT SPECIALTY COCKTAIL PITCHER AND BOTTLE FEATURES UNTIL 12 NOON. DJ ERIC FORBES AND HOST BRIAN THOMAS WILL BE IN THE MIX FROM 12 NOON UNTIL 6PM.